On the 3rd of September 2009 I went round my friend Emily's house for a girly dinner get together. Emily asked if i could do some mediumship work after dinner which I did do. At first not much was coming though - which I blamed on the alcohol. When I had first arrived at Emily's house she said that the person who lived there before her in her house passed away and she could feel them in her house. She asked if I could pick up anything on that person. She did not give me any details whether it was a male or female, or their name. She just asked if I could pick up on the person who lived there before her. So I sat quietly and try to ask the spirit who was in Emily's home to please come through. The first thing that came to me was the name Gavin. I said that I felt that he had died a horrible death and that he was murdered. I could see him in a ditch somewhere near a bicycle or bike track and he had mud all over his face. I felt that there were 2-3 men who were local men who killed him and that one of them lived and worked in Bexhill. I felt that one of the killers runs a shop in Bexhill now. I could also see a large car with lots of lights on and I had the feeling that Gavin was all wet as it had been raining the night he died. I felt that Gavin was murdered at night as it was all dark. The name Tim Hoffman also kept coming to me and I felt that he could have been one of the killers. I also felt that Gavin was killed for a reason – as though the murder was planned because of his race or something which he had done that upset someone. I could not tell why he was murdered though. After I had told Emily everything that Gavin had told me Emily and her cousin Sharon both looked at me stunned. Emily then told me that the person who lived in her house before her was a male and his name was Gavin. She said that I was right that he died at night and it was raining that night as his body was covered in mud when they found him. She said that he was murdered by some of the local men and that they had never been caught. She said Gavin's friend was having an affair with Gavin’s wife. The friend murdered Gavin because he wanted Gavin out of the way so he could have Gavin’s wife to himself. She said that Gavin used to race his bike and was killed at a dirt track and his body was found in a ditch just as I had said. He was soaking wet from rain and covered in mud when they found his body. The men who killed him road him down with a huge 4x4 truck. One of the men who she suspects killed him works in Bexhill with her mum. She does not recognize the name Tim Hoffman but said she would look into it.  I hope you enjoyed reading my psychic experience. My name is Natasha Chamberlin and I run a website called Psychic Friends. Psychic Friends is a FREE Spiritual Growth and Psychic Development group.  All lessons at Psychic Friends has been prepared and written by myself - using my own experiences and what I have learnt over the years. I hope that you will find each lesson to be helpful and enjoyable.